Banstead-based maritime charity The Royal Alfred Seafarers’ Society has appointed a new Catering Manager, Matt Goodman, to run the kitchen at its Surrey care home following the retirement of long-serving staff member Jenny O’Neil. The Society, which delivers expert care to former seafarers and their dependants, including those living with dementia, caters to around 70 residents at its Belvedere House care home. Matt’s new role will include running the kitchen, hiring and training catering staff and ensuring menus are kept updated with the best dishes and residents’ favourites. Ensuring all residents have their nutritional needs looked after is paramount to Matt’s role. Research shows that over-65s require more vitamin D and calcium rich foods to maintain bone health, and for those living with dementia, dietary requirements may change as coordination may be affected. This means at meal times, each resident needs tailored care which as Catering Manager, Matt and his team support. Matt began his catering at school, taking a part-time job in a nursing home kitchen. 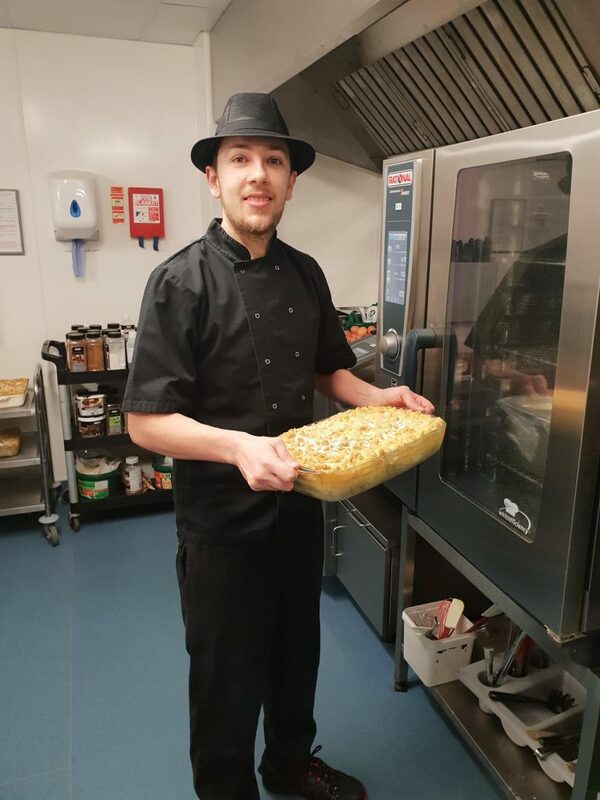 He obtained his NVQ level 2 and 3 and continued to work at the Roseland Residential Home while studying at college, eventually working his way up to Head Chef in just five years. In 2014 Matt sought a new challenge at The Royal Alfred and after working at the Society for three years, Matt was offered the position of Head Chef in recognition of his hard work, dedication to residents and above all, his skills for creating delicious dishes in the kitchen. Now, with a small team of chefs and kitchen assistants Matt heads the catering ship at The Royal Alfred in the role of Catering Manager, with daily responsibilities including cooking for residents, ordering stock, training staff and updating residents’ nutritional files. Matt said, “I have been in the catering industry for 15 years now and it’s a proud moment for me to have been appointed as Catering Manager, following in the footsteps of friend and mentor, Jenny. I hope to bring my creative flair to dishes and will ensure residents are cared for in terms of nutrition and their favourite meals – I can’t wait to get started!”. Brian Boxall-Hunt, CEO at The Royal Alfred Seafarers’ Society, added, “We’re thrilled to have appointed Matt as our new Catering Manager. His work ethic impressed us during his time as a chef and we are excited to see what he can bring to the kitchen in his new role – not to mention, sample more of his outstanding cooking! We’re eager to see Matt develop himself and his team further and this move underlines our commitment to providing the best quality of care to all our residents”.